In court Friday, Manafort's lawyers argued that the special counsel's office was obligated to turn over information detailing his alleged lies. WASHINGTON — Prosecutors on Friday declined to rule out bringing new charges against former Trump campaign chairman Paul Manafort after he allegedly breached his plea deal with special counsel Robert Mueller's office. Prosecutor Andrew Weissmann addressed the possibility of new charges during a brief hearing in federal court in Washington, D.C., where no details emerged on the nature of Manafort's alleged transgressions committed after he agreed to cooperate in the Russia probe. Judge Amy Berman Jackson asked Weissmann if his office plans to bring new charges against Manafort. "That determination has not been made yet," Weissmann said. Manafort, 69, was convicted of eight counts of tax evasion and bank fraud in August. In September, he agreed to cooperate with Mueller's investigation when he pleaded guilty to two new counts and admitted his guilt to 10 counts outstanding from the earlier trial in Virginia. In a Monday court filing, Mueller's office accused Manafort of "crimes and lies" about "a variety of subject matters," but did not go into specifics. In court Friday, Manafort's attorneys argued that the special counsel's office was obligated to turn over information detailing the government's allegations. "We obviously had lengthy conversations with the defense," he told the judge. "They are aware of the gravamen of what the concerns are." Jackson set a new sentencing date for March 5. Manafort, who showed up for an October court hearing in a wheelchair with a bandage wrapped around his right foot, was not in court Friday. Kevin Downing, Manafort's attorney, said upon leaving court Friday that he had no comment on the day's proceedings, but that "we're looking forward to litigating this." 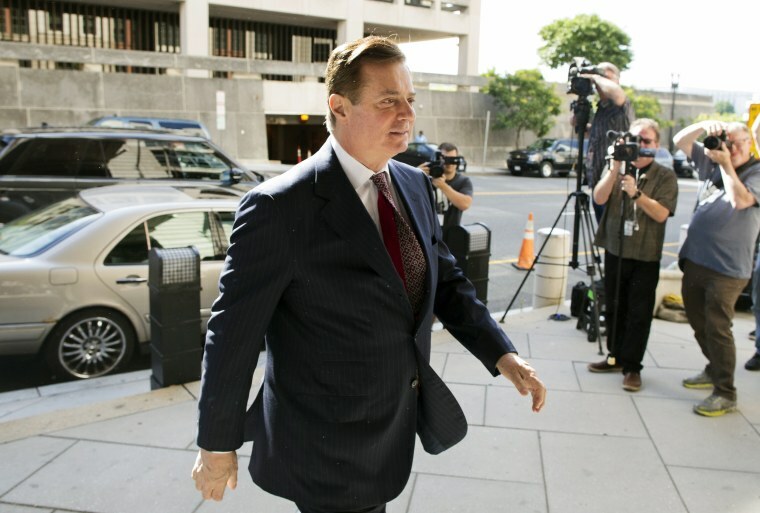 President Donald Trump, in a Wednesday interview with the New York Post, left open the possibility of pardoning his former campaign chairman.